If for whatever reason you need to use the latest Microsoft Windows 8.1 (or 8) fonts in Ubuntu and you don't have a Windows partition to copy the fonts, here's how to download and install them. 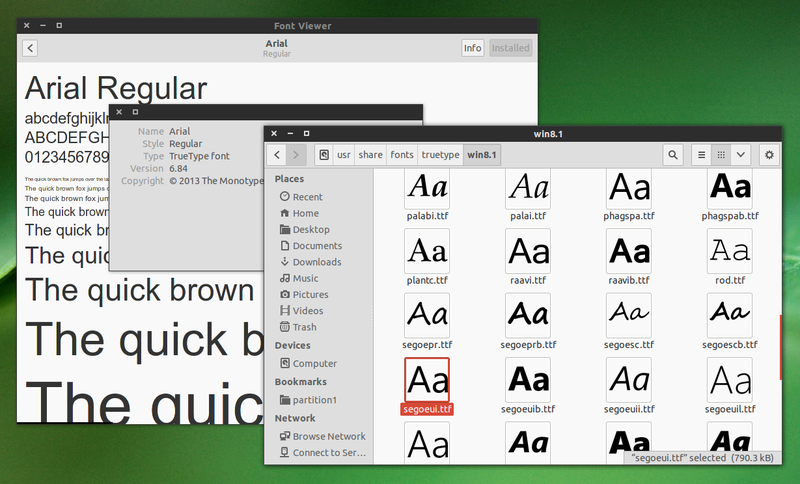 Installing the Windows 8.1 fonts in Ubuntu means you'll get any new fonts that Microsoft included in the latest Windows Preview (like Segoe UI Black, Segoe UI Emoji and a few others) as well as the latest version of popular fonts like Arial, Tahoma, Calibri, Segoe UI, Verdana, Times New Roman and so on. Below you'll find instructions for downloading the Windows 8.1 Preview ISO from Microsoft, extracting the fonts from the ISO (because the fonts can't be redistributed) using 7zip and Wimlib and installing the fonts in Ubuntu, either system-wide or for your user only. The instructions are based on / adapted from the tt-ms-win8 AUR package (thanks to reflexing!). 1. Download Microsoft Windows 8.1 Preview ISO. Since the fonts can't be redistributed, you must extract them from a Windows 8.1 ISO. You can download Windows 8.1 Preview from Microsoft - save the ISO file in your home folder. I recommend downloading the 32bit ISO since it's 1 GB smaller than the 64bit ISO. Optionally, you can also download the Microsoft Windows 8 Enterprise evaluation ISO from HERE. Both Microsoft Windows 8.1 Preview and Windows 8 Enterprise evaluation are available to download for free. 2. Install the tools required to extract the fonts from the Windows 8.1 ISO. The ISO file name in the first command above may change or you may have downloaded a different ISO so make sure you check the filename of your downloaded ISO and use that instead of "WindowsBlue-ClientwithApps-32bit-English-X1899604.iso" if the command doesn't work. 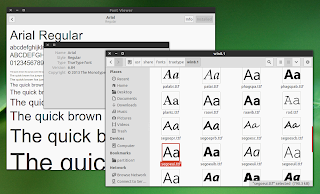 Before proceeding, delete any fonts that you don't need from the sources/fonts folder. Now you can delete the "sources" folder from your home directory as well as the downloaded Windows 8.1 ISO file.